News emerged today that a major international sporting body overseeing grappling has ordered its member federations to prepare for Olympic accreditation. The news was first reported by jiu-jitsu commentator Mohammed Al Housani, who is an analyst and presenter for Abu Dhabi TV. ​​"Breaking News: The President of the Jiu-Jitsu International Federation issues instructions to prepare a file in which all conditions are met in preparation for submission to the International Olympic Committee for accreditation to participate in the 2024 Olympics." "It's actually the President of the UAEJJF, HE Abdulmonem Al Hashemi, who has directed the local federation to go ahead with preparing the Olympic File in association with the JJIF. "HE Abdulmonem Al Hashemi is also the President of the Ju-Jitsu Asian Union (JJAU) and Senior Vice President of the Ju-Jitsu International Federation (JJIF)." How long before ju-jitsu gets into Olympics? 2024 would be the absolute earliest, but this is unlikely. The Olympics is the gold standard of all international sporting events, and the number of sports that feature at the Games is tightly controlled and hard-fought for. Preparing for submission for Olympic accreditation is more of a long-term move to inspire regional and national federations to adequately prepare for important international tournaments, which could eventually mean (but does not guarantee) the Olympics. 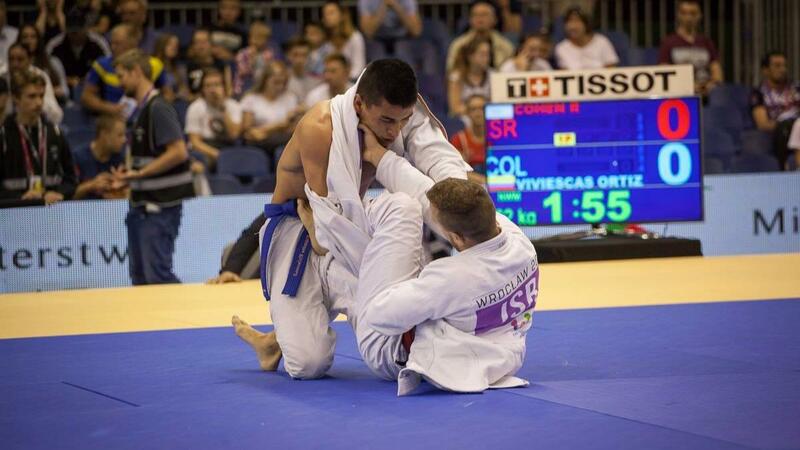 Organizations such as the IBJJF are private companies and not governing bodies. That excludes them from government funding or support. The JJIF is comprised of four continental federations (Asian, African, European, and Pan American Federations). What exactly is required by them to prepare for submission for Olympic accreditation is unclear but would likely involve initiatives such as development of federations for individual countries, anti-doping measures, and so on.